It’s a little known fact that when I was in grade school and high school I played my great grandfather’s antique silver cornet in the school bands. My favourite time of year to play was during the holidays, whether it was in parades or in concerts – I just loved the festive spirit. It may have been bitter cold sitting up on a float at the local Santa Claus parade, but you better believe I played “Jingle Bells” with all my might. I think it also helps that Christmas music is just fun to play – especially for brass instruments. I stumbled upon a community band performing this weekend and I couldn’t help but stop and listen for a while. It brought back lots of good memories. 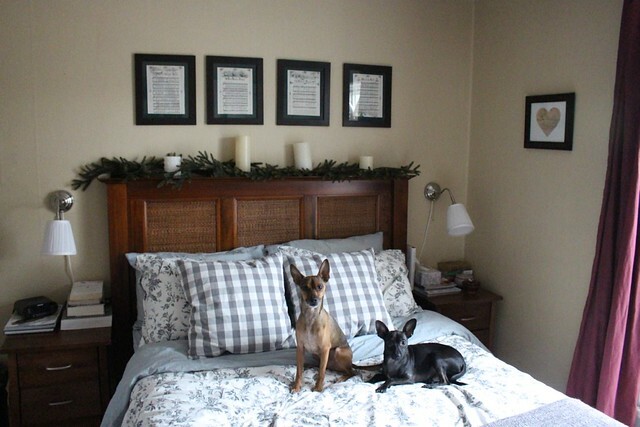 If you caught yesterday’s Holiday Home Tour video, you saw that one of the ways I decorated our bedroom for the holidays was with framed sheet music. It was a simple project to do, but it gives a nice nod to some of my favourite memories of playing during the holidays. These ones have nice vintage illustrations on them as well. 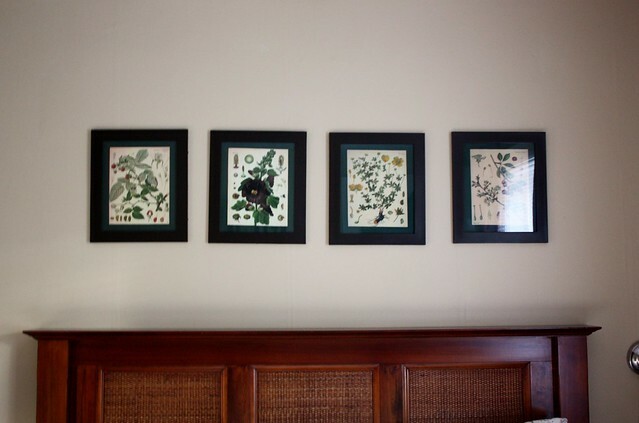 Normally, the frames above our bed are filled with vintage German botanical prints. I used dollar store frames, made some cardstock matting and free printed images to put together this display for $6. 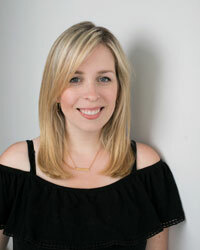 Changing them for the holidays was as easy as printing off the sheet music for free and swapping out the botanical prints! 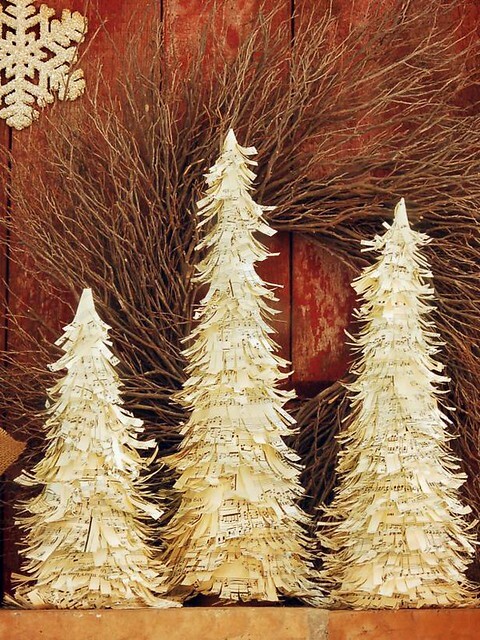 These Christmas trees made of sheet music would look lovely on top of a piano or mantel! 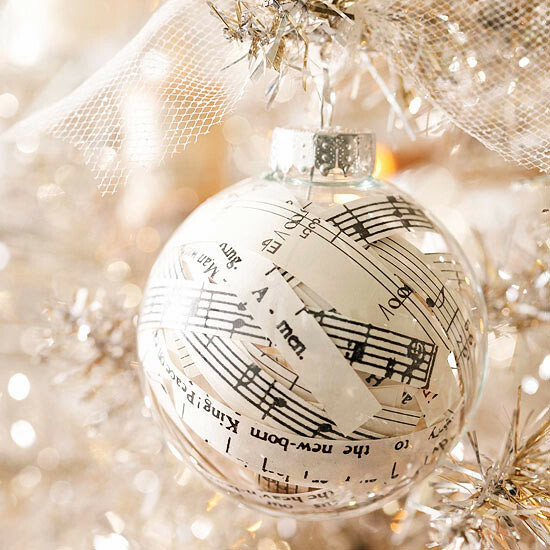 Cut strips of sheet music for your favourite Christmas song and stuff them into a glass ball for a unique ornament. 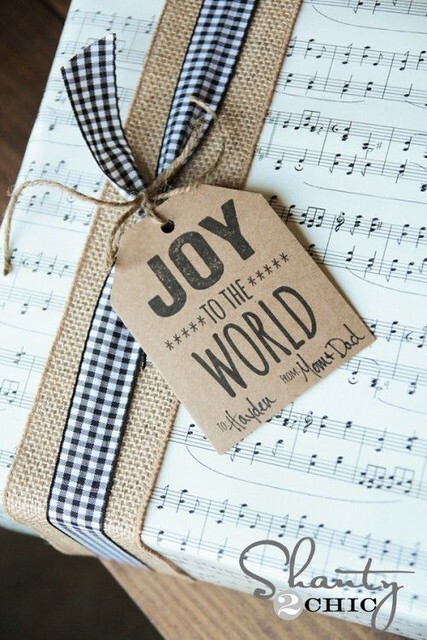 Black and white plaid ribbon, layered over burlap, with a cute tag on top of the sheet music makes this gift look lovely and festive for a neutral theme. 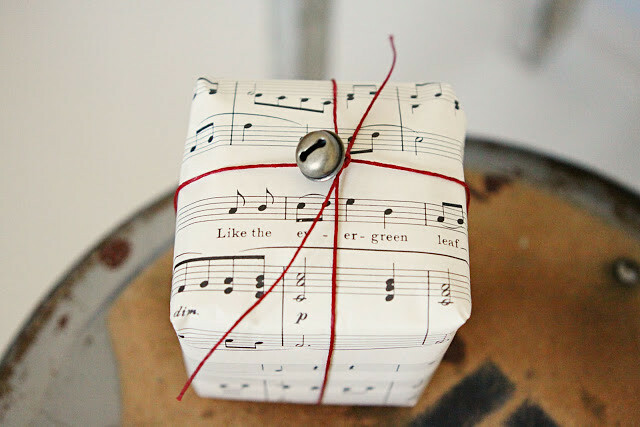 Even a simple wrapping job looks cute – with an old jingle bell to make music of its own. 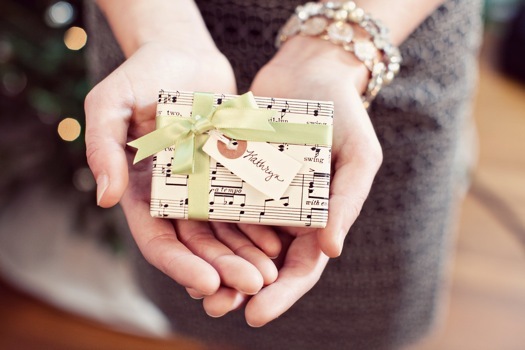 A delicate box gets special treatment with sheet music wrapping paper and a tiny tag and bow. small box: This would even be cute as a little treat at your table place settings – maybe with a few special chocolates inside! 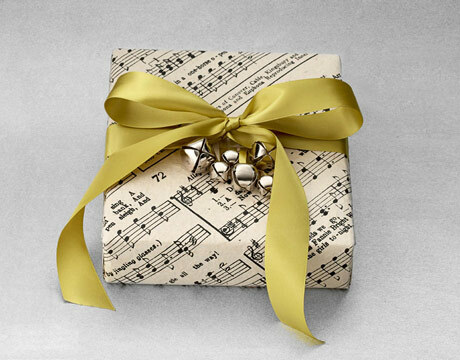 I think this one might be my favourite – from the diagonal alignment of the paper to the tiny jingle bells. Any recipient would love this! 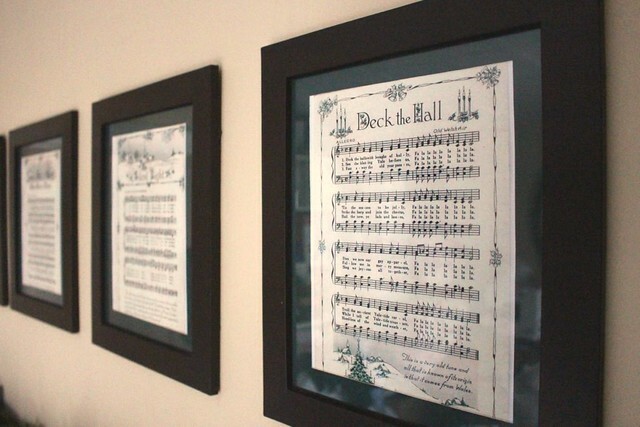 If you have any other ideas on how to use sheet music in holiday decor, I’d love to hear about them. Share in the comments below! 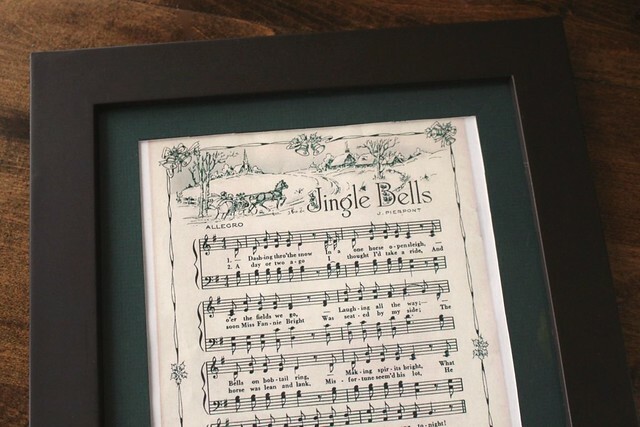 Hi…..I wonder you printed all Black and White Christmas Carols music sheets from green. I set my page settings to greyscale to make it a black and white image when it printed.